Our motivation for ocean protection is based on various factors and mainly on a key insight: The ocean plays a highly significant role in the biosphere of our planet. And it covers around 70% of the surface of this planet. Yet, its’ health is in a bad state on many levels. Knowing this – and feeling deeply connected to the ocean, the source of all life on earth – we bring ourselves in to accelerate the protection of the ocean. Our mission is based on the belief that change is made by all levels of society: By citizens, institutions, organisations, the private sector and politics. And our experience is that accelerated change – you might also call it ‘radical change’ – comes with the impact level. As we know that ocean protection needs to improve at an accelerated pace – as the clock is ticking – our campaigns address all levels in society, in order to raise their impact level. We are strong advocates of international agreements, in particular living in an era of ‘globalization’. Beginning at our doorstep, we realize change where it makes most sense. Parallel, we strive for the largest impact possible. We teamed up with the ‘United Nations Development Program (UNDP) Ocean Action Hub’, building a global network of ocean protection.  We see the frame of our work in the Paris Climate Agreement, specifically in the Sustainable Development Goal 14 – ‘Life below water’. I really don’t know why it is that all of us are so committed to the sea (…) And it is an interesting biological fact that all of us have in our veins the exact same percentage of salt in our blood that exists in the ocean, and, therefore, we have salt in our blood, in our sweat, in our tears. We are tied to the ocean. And when we go back to the sea – whether it is to sail or to watch it – we are going back from whence we came.